Wow! We were going to the Keith's! 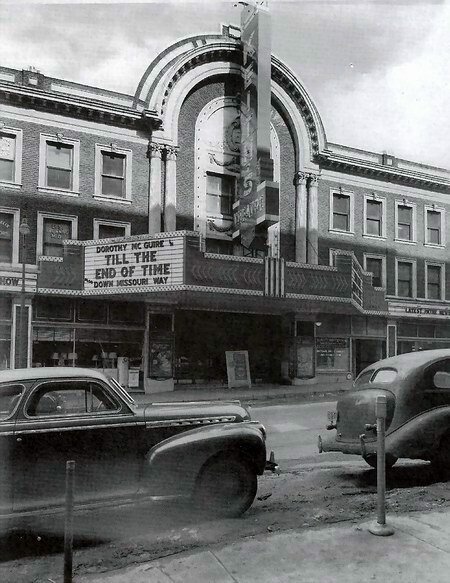 This was the top movie house in Grand Rapids, bar none. 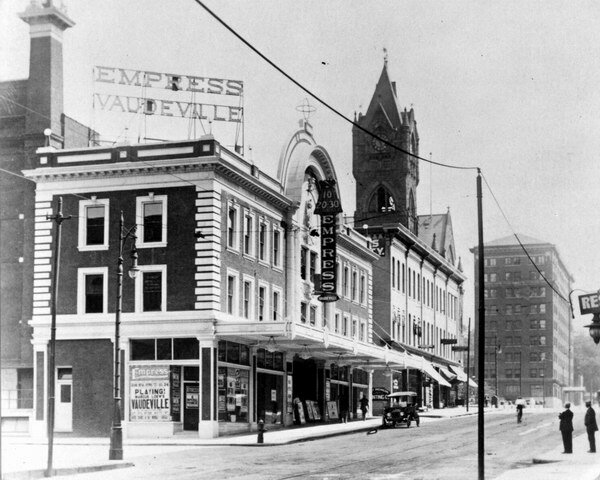 It was a former vaudeville theater. The interior had loads of ornamental plaster work, all of which had been painted over as it was no longer in vogue. 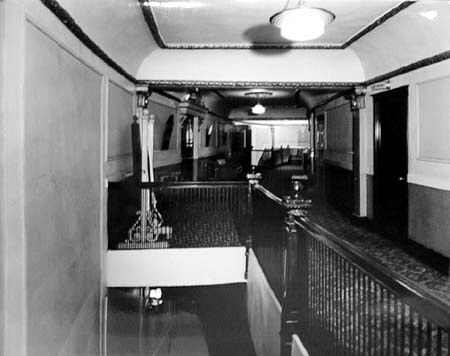 The balconies (two) and the boxes were rarely used, but they added to the classy appearance. I loved this place. 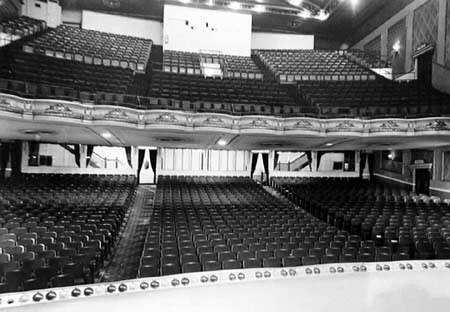 The Radio Keith's Orpheum chain owned this house when it became a first run movie theater. 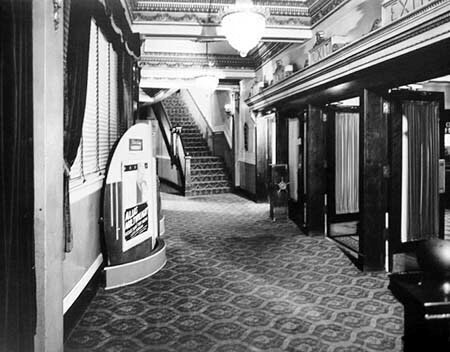 That was in the days when the studios controlled distribution and exhibition of their movies. 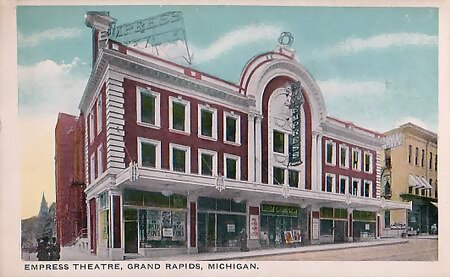 It was destroyed in a wanton fit of misguided urban renewal which left Grand Rapids with a lot of characterless buildings. 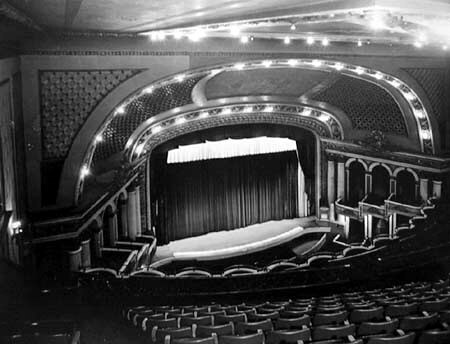 This theatre represents the heyday of movie palaces quite well. From the awesome exterior architecture, the provate boxes, the balcony, and the wonderful interior decor this house was certainly the picture of class in motion picture exhibition.